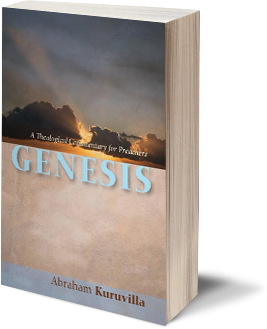 Dr. Abraham Kuruvilla's new commentary on Genesis is now out. Check out this link at the author's own website devoted to preaching: Homiletix. You can download a chapter and there are links to purchase the book. You might also want to check out the author's commentary on the Gospel of Mark here. I hope to feature Dr. Kuruvilla in an interview soon.